Grant us peace . That is the translation of the Vietnamese words inscribed on this monument. 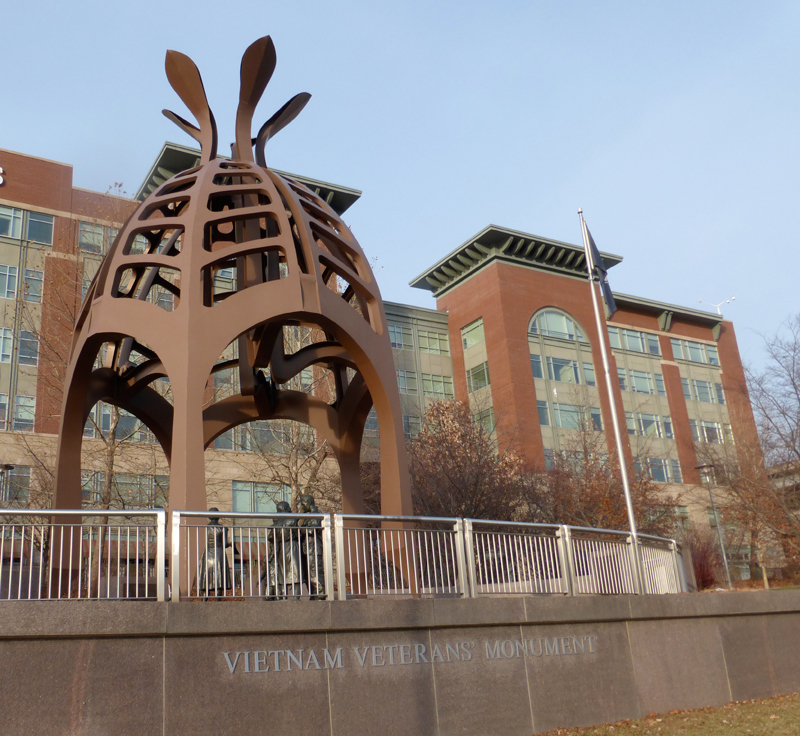 First dedicated in 1987, the Vietnam Veteran’s Memorial reminds us of the emotional trauma our veteran’s suffered in this war. Those who returned home did so wounded – inside, outside, or both. 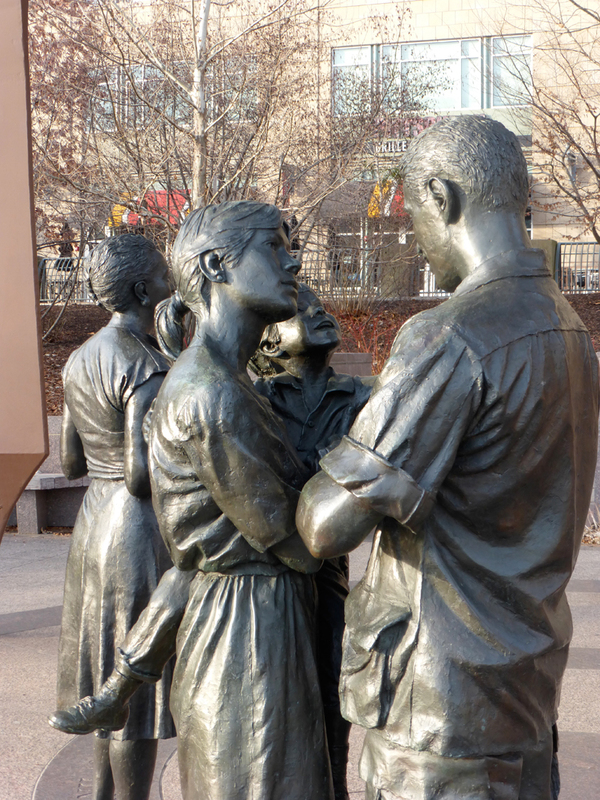 This monument seems to call out to them with healing thoughts. The homecoming theme calls to all of us. Our military members being welcomed home by their loved ones is a constant. No matter what war or conflict, no matter what decade or century, it’s the one universally good moment they share. 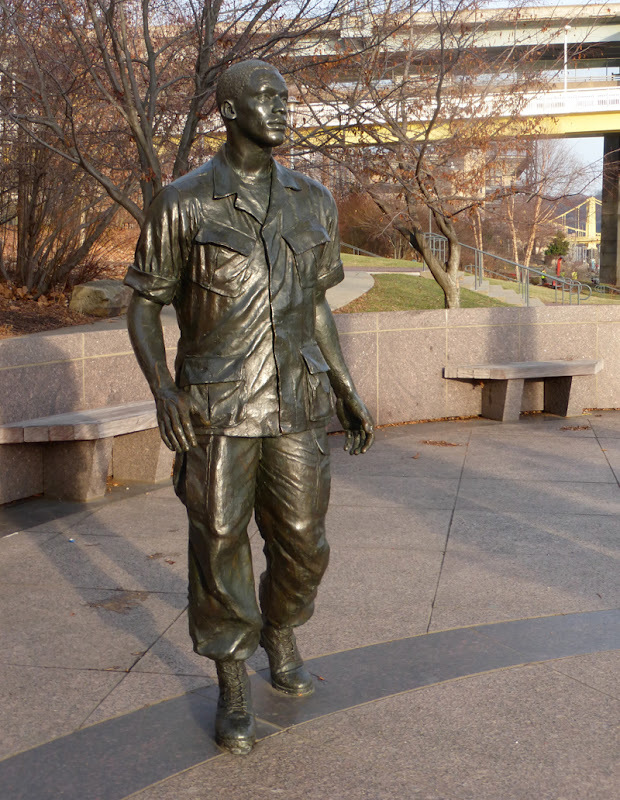 For veterans of the Vietnam War though, society failed to do their part to welcome these men and women back. 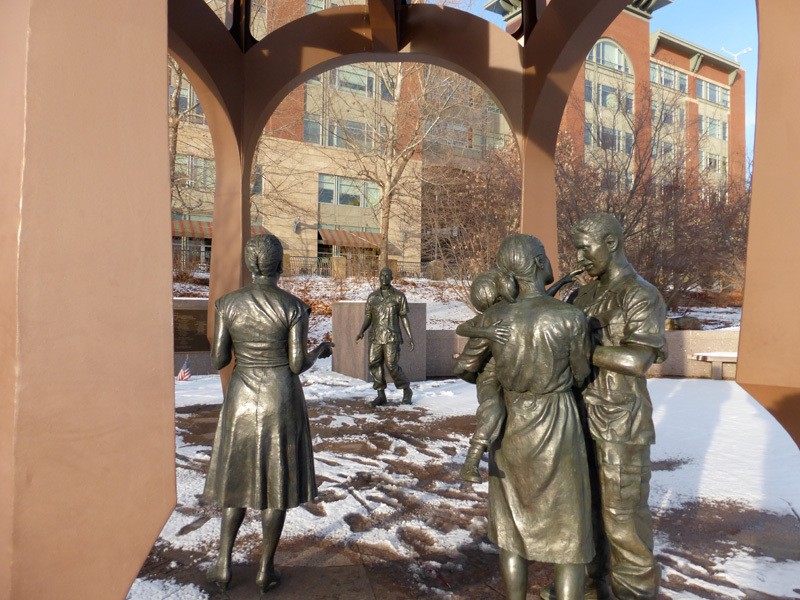 This sculpture seems to make a belated attempt to do that. It’s a peaceful image. A soldier embracing his family. A mother waiting with open arms for her son to step into them. 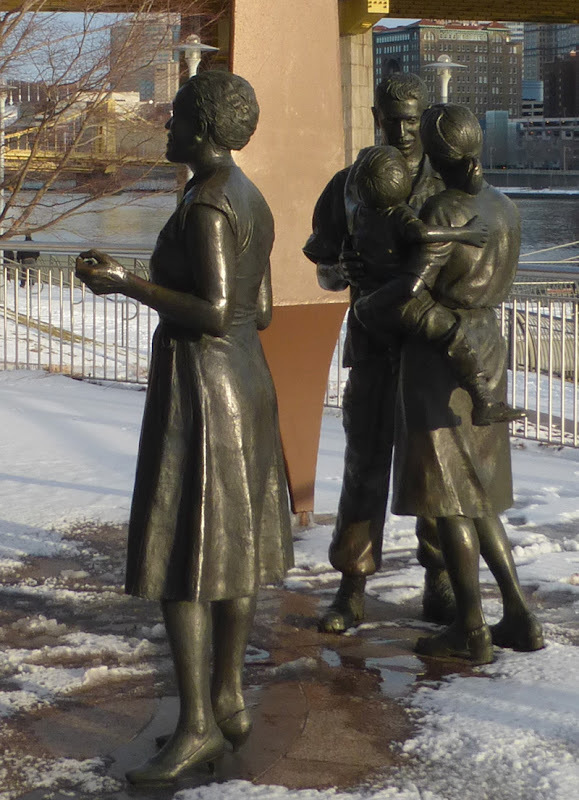 The sculptures are the work of George Danhires. Overhead wind chimes catch the breeze, the sounds offering up prayers for the dead. 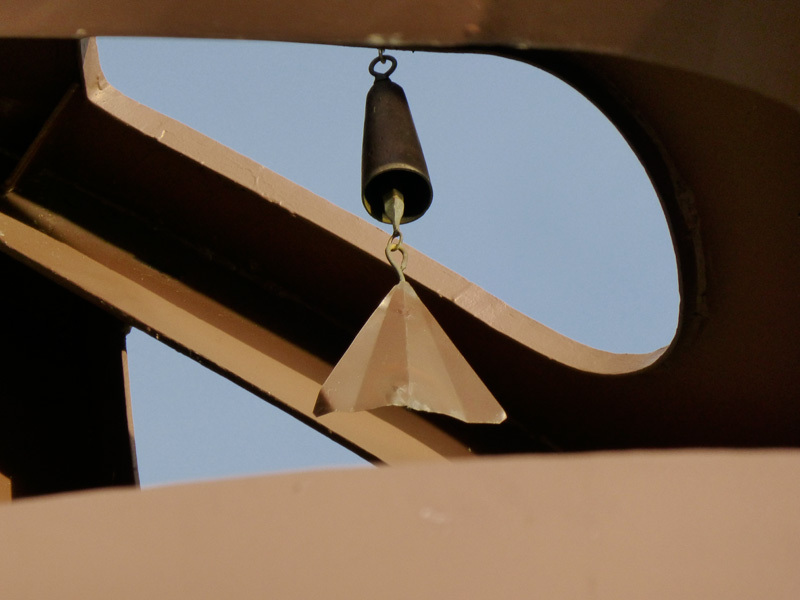 The chimes were created by artist Ron Bennett. 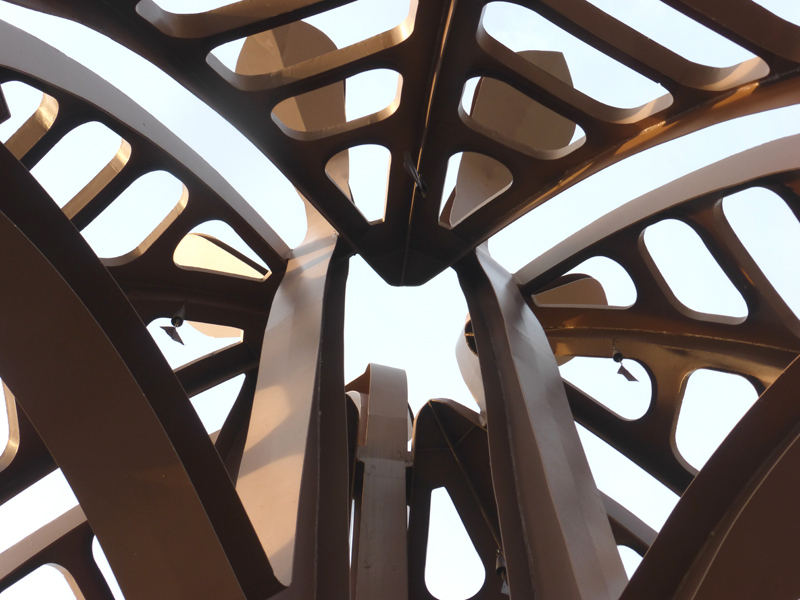 They hang from an inverted hibiscus – an Asian symbol of birth and regeneration, and a Buddhist peace symbol. 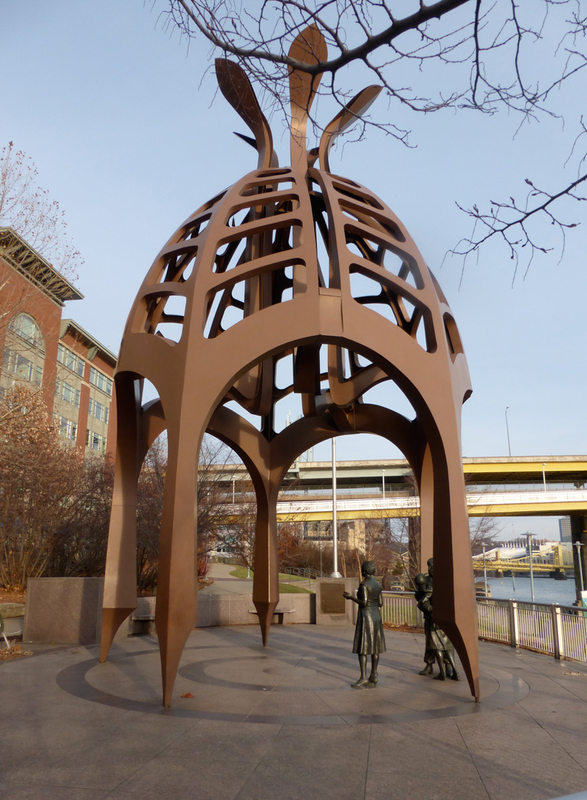 This structure was done by Triangle Welding Co. This design is all about starting over and healing. It offers the hope of new beginnings. The gentle chiming won’t let us forget the price that was paid by many, but at the same time the meditative sounds bring an inner peace and calming. 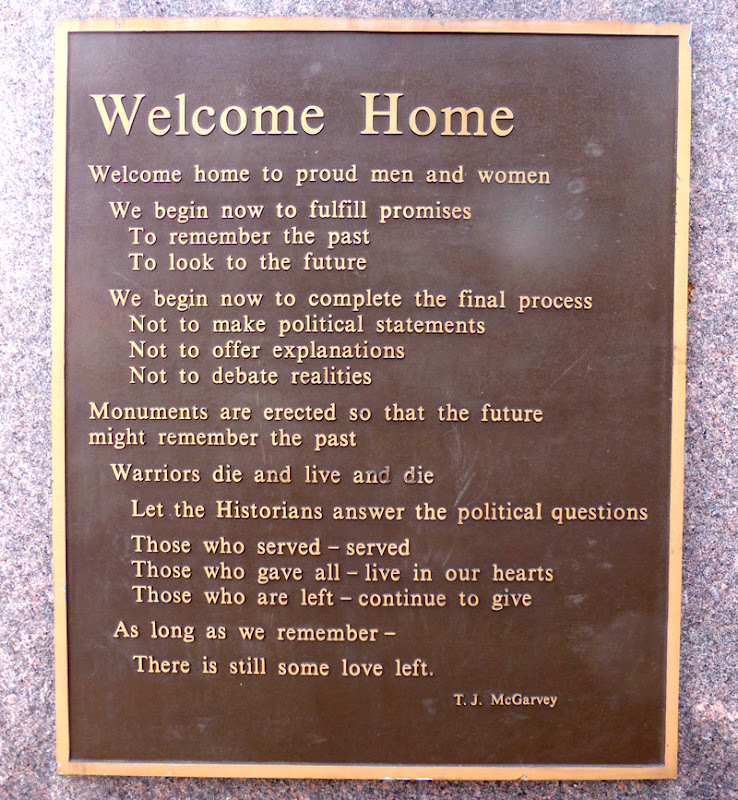 "Welcome Home" is the theme of this monument and it is accompanied by a poem of the same title, written by T. J. McGarvey, the leading force behind the existence of the monument. There is still some love left. 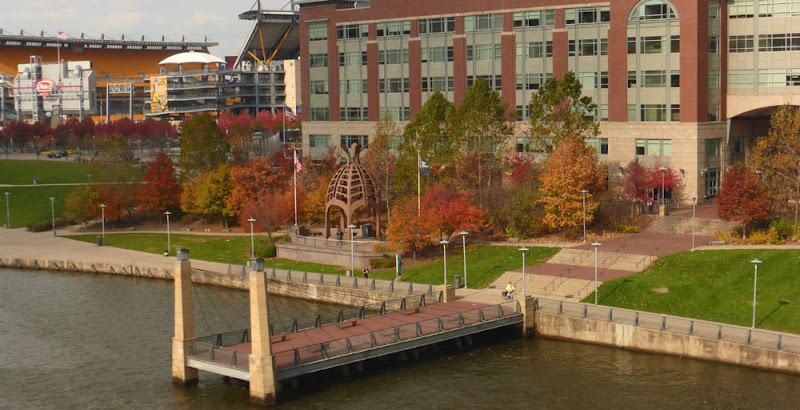 The monument was redesigned with better access by EDAW landscape designers when the Northshore was being reshaped due to the constructions of the new stadiums. 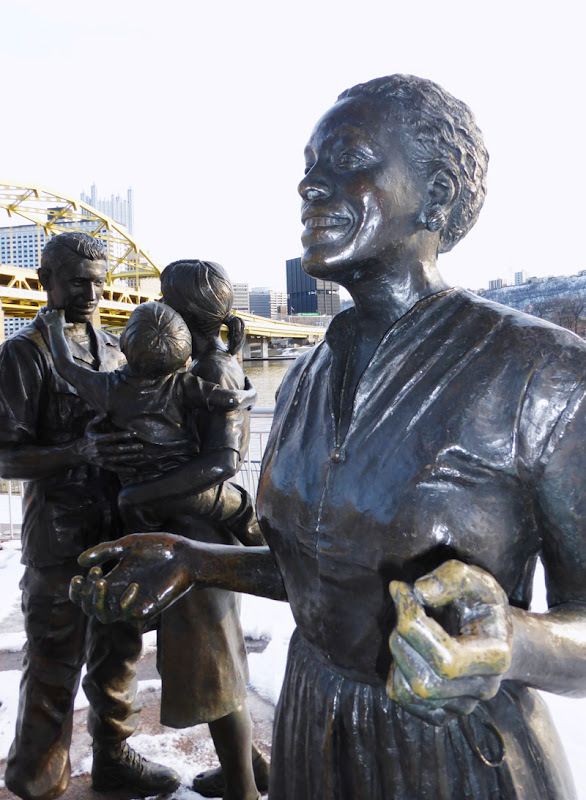 It was rededicated in June of 2002.